"Every Republican, including Texas Republicans, agreed that hurricane funding is an important and critical role for the federal government," Cruz said on Monday, according to CNN. 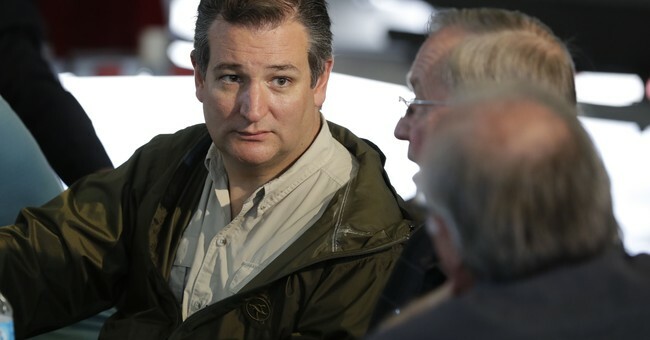 Cruz added, however, that the Sandy bill was "a $50 billion bill filled with pork and unrelated spending that wasn't hurricane relief...It was simply local members of Congress spending on their pet projects and two-thirds of what was spent in that bill had little or nothing to do with Hurricane Sandy," Cruz said. His comments come amid recovery efforts in Texas in the aftermath of Hurricane Harvey, which continues to bring rain and flooding to the region. President Obama’s $60.4 billion request for Hurricane Sandy relief has morphed into a huge Christmas stocking of goodies for federal agencies and even the state of Alaska, The Post has learned. The pork-barrel feast includes more than $8 million to buy cars and equipment for the Homeland Security and Justice departments. It also includes a whopping $150 million for the National Oceanic and Atmospheric Administration to dole out to fisheries in Alaska and $2 million for the Smithsonian Institution to repair museum roofs in DC. An eye-popping $13 billion would go to “mitigation” projects to prepare for future storms. These are DNC talking points masquerading as hard news.